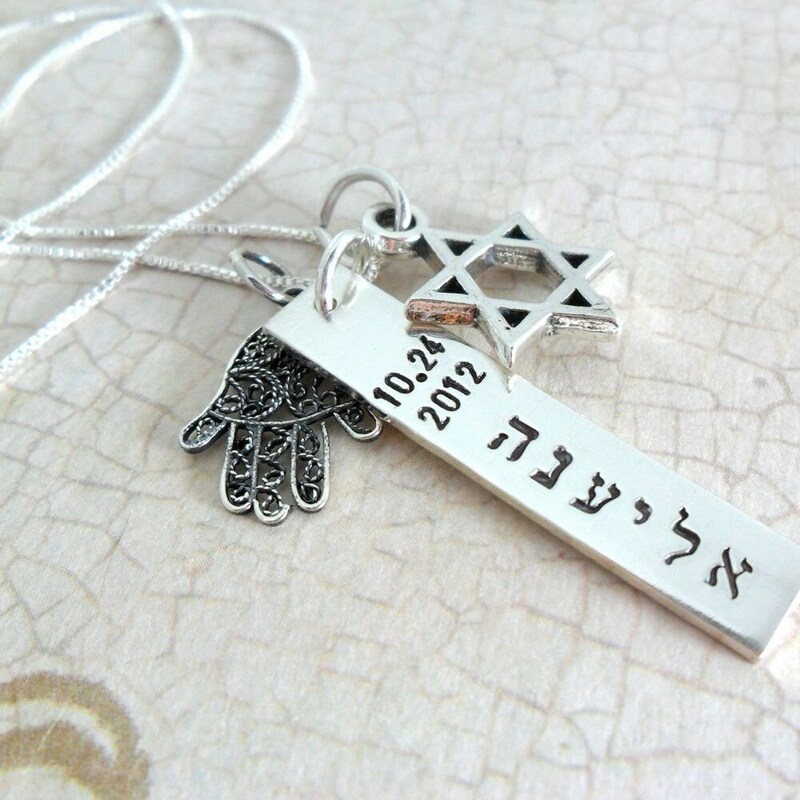 This lovely charm necklace is composed of a 1.25" sterling silver bar (18g), oxidized filigree sterling silver Hamsa and sterling silver Star of David. 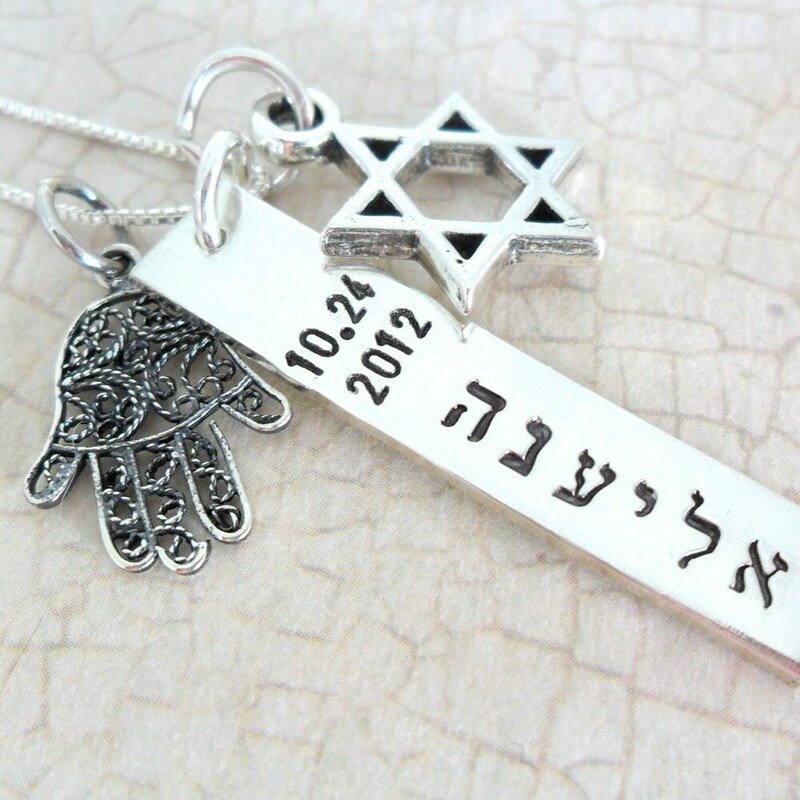 The sterling silver bar will be hand stamped in Hebrew with the name of your choice. 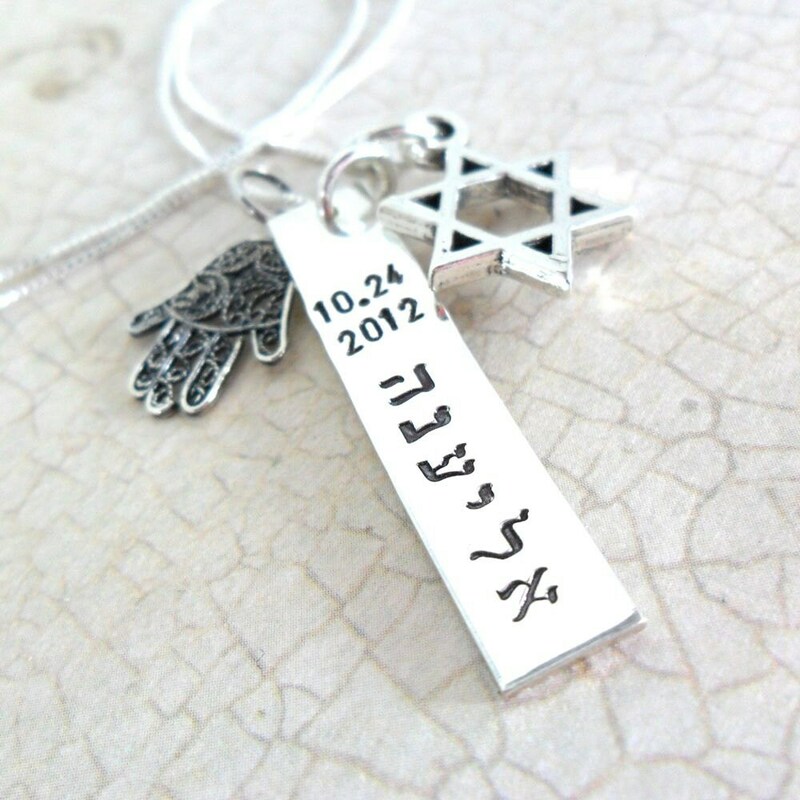 Optionally, you may choose to have a date hand stamped horizontally across the bar, as shown. Please specify name to be stamped, and date if desired, in the note space provided at purchase. 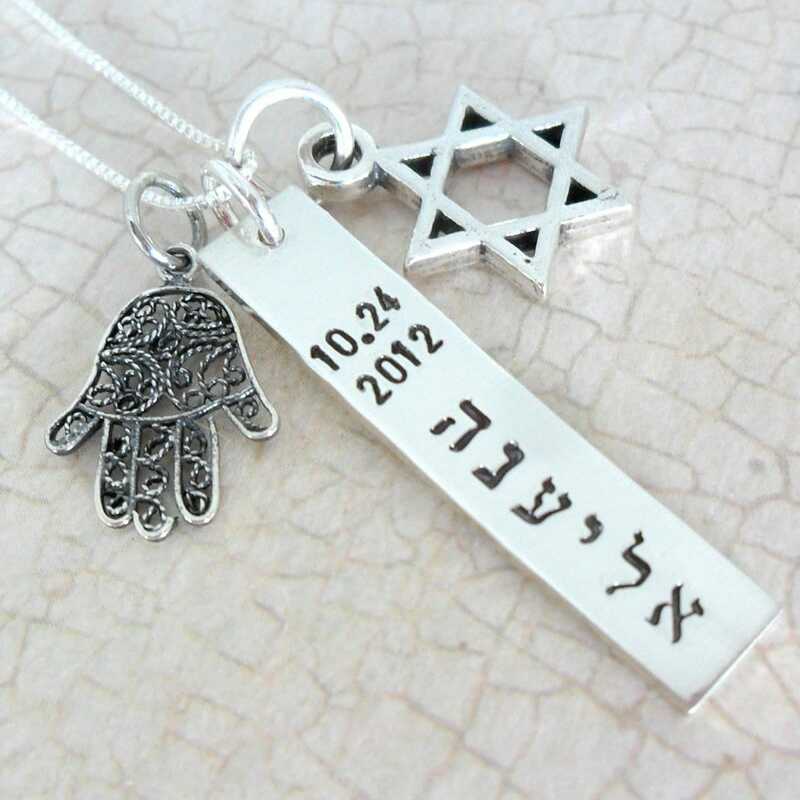 You may either copy and paste the Hebrew or write out the name. Have an idea for a custom piece? Contact me!